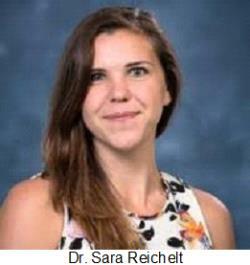 The American Association of Avian Pathologists have recognized Dr. Sarah Reichelt as a future leader during the 2019 American Veterinary Medical Association, Veterinary Leadership Conference held January 10-13 in Chicago. The conference theme was “Evolution of Leadership”. Dr. Reichelt graduated from North Carolina State University, College of Veterinary Medicine in 2017 and joined Aviagen where she has been involved in aspects of biosecurity and welfare in the company’s grandparent broiler breeding flocks.